There are no messages on essi2's profile yet. Notice: The status channel is only for admin notices, notifications from various forum features, etc. Please post in another channel. Damn thing can't even connect to a hidden network SSID despite the whitelisted MAC for the printer having a reserved IP address. The stupid, it burns! I predict that, shockingly, that 20 minute thing doesn't work. Doesn't apply when you get DC'ed from inactivity. Welcome to The Elder Scrolls Online v5.0.0 and our next Chapter: Elsweyr! On a scale of 1 to 10, how many nerfbats will ZOS hit it with in the first patch after Elsweyr is released? I have never played an mmo that could add a class that wasn't either useless or stupidly OP at its release. The Necromancer will be just another in a long line in that tradition. Assassin's Creed: Unity is free until 25th April. Dang, reported a bug with Civ 6 Wednesday on a fan site, got a reply from one of the top devs today to say it'd been squashed. 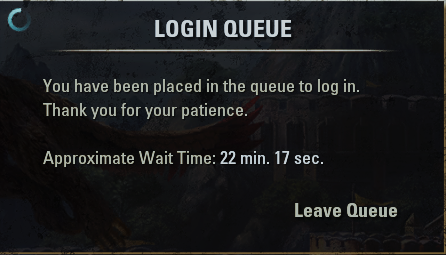 Why can't ZOS be like that? If you've got an AD character that needs Cyrodiil skyshards, we currently own all but two keeps in the Sheogorath campaign.